Home / Blog / What process should you follow if you have a power outage? If you are suffering a power outage, follow these steps to get your lights on again. Check your neighbors to see if their power is out, too, or is it only your house is affected. If only your lights are out, check your circuit breakers or fuses. Try repairing the fuse or resetting the circuit breakers. If the breakers won’t reset or the fuse blows again, try unplugging all the sockets. Don’t forget those hard to get to ones such as the fridge or dishwasher. Once everything is unplugged, try and reset the breaker or fuse. If this works you can isolate the source of the problem by plugging in an appliance until you find the appliance causing the problem. 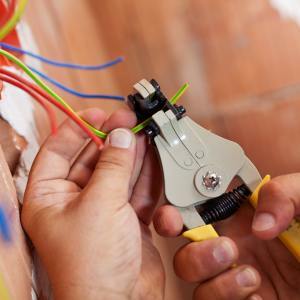 If after you have unplugged and plugged in all the appliances and the breaker or fuse won’t reset just call us on our 24hour number 9379 9000.